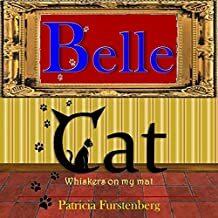 Firstly I wish to thank Patricia Furstenberg for inviting me to read and review this lovely book Belle Cat: Whiskers on my Mat. Insightful images of the real cat Belle are included to support this poem. “Did you know? Fun-tastic cat facts” – Interesting cat facts for young and old. “How to… Tracking pet cats” – Just like the big cats, house cats leave footprints everywhere! Be a pet detective in your own back yard. This is a wonderful poem of how Belle sees the world and the people who look after her, well when she allows them to of course. And how the people who she allows in her life love her. There are some delightful pictures of the real Belle too and some cat facts of what to watch for to tell you how a cat is feeling. You may even be able to tell what your cat has been up to if you can find their paw prints from the rain, in the mud or snow. A lovely story to be shared with children and afterwards games to play, if you have a cat to guess the mood of what she is in! Delightful and insightful wagging tails to share. 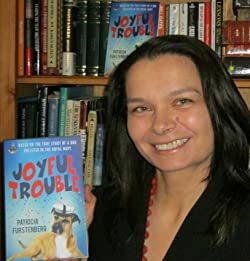 Patricia Furstenberg is a skilled children’s book author, poetess and mother, known for her uplifting, charming themes and lovable, enchanting characters: dogs, cats, elephants, cheetahs, lions, but also squirrels and snails. Her book “Joyful Trouble” is an Amazon Bestseller. Her book of poems “As Good As Gold” became a #1 New Release the day it was published. Her prolific writing is described as: positive, diverse, crisp, joyful and uplifting. Patricia Furstenberg came to writing though reading, her passion for books being something she inherited from her parents. As a winner of the Write Your Own Christie Competition, the Judges “were impressed by her thorough investigation and admired the strength of her narrative; they were impressed by her style”. The judges thought Patricia’s writing style is “well structured, with a great sense of tension and suspense”, “confident and intriguing”. The Judges were Mathew Prichard, David Brawn from Harper Collins UK and Daniel Mallory from Harper Collins US. When she’s not writing Patricia likes to read, read, read and dance. She never counts how many cups of coffee she enjoys in a day. Patricia lives happily with her husband, children and dogs in sunny South Africa. Dear Sue, such a detailed blog post and review, thank you very much! I am delighted that you enjoyed Belle’s poem. It is always a pleasure to visit your blog, both as a reader or a writer.